On Sunday, April 14th, from 1 to 4 pm, BARN is offering a Spring Sampler. Come explore the studios at BARN and get a chance to create — and take home (or eat) — an exciting array of crafts. 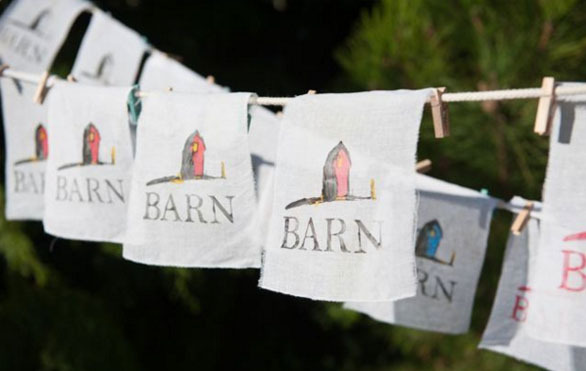 Enjoy an afternoon of creative hands-on activities in BARN’s 11 artisan studios. Make block prints in Printmaking, create Orizomegami paper in Book Arts, bake hand pies in the Kitchen, decorate a hand-turned wooden top in Woodworking. Create copper angels in the jewelry studio, watch computer controlled machines shape metal in the Metal Fabrication Studio, and see 3D printers in action. It’s free, open to all ages, and you’re sure to find something to make and take home at BARN’s Spring Sampler. Don’t miss it!